Bow: Balancing on your abdomen, in the shape of a bow. The Bow works all parts of your back simultaneously, increasing suppleness in the spine and hips. In this asana, our head, chest, and legs are lifted, while our body rests on our abdomen. The pose is so named because as we hold it, our body is bent back like a bow and our arms are held straight and taut like a bowstring. 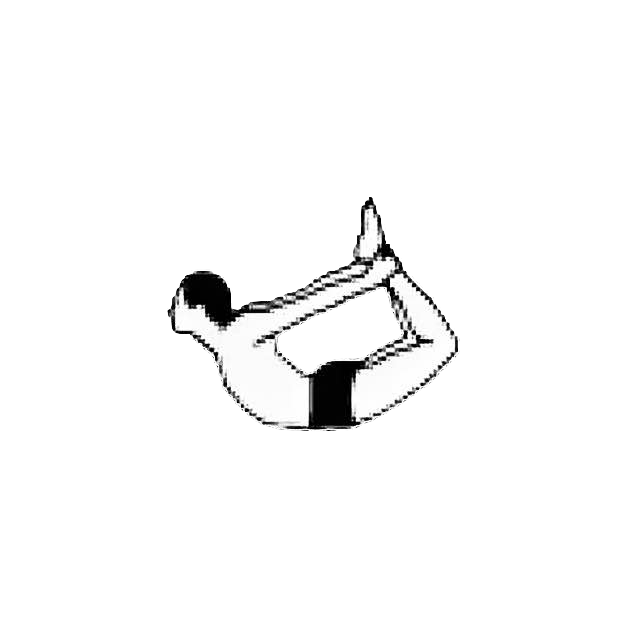 Dhanurasana combines and enhances the benefits of both the Cobra and the Locust. The whole body rests on the abdomen, giving a good massage to the abdominal region, especially the digestive organs. Swing, rock, and rejoice. Mentally repeat Oṃ, Oṃ, Oṃ. Objective: Give a full backward bend to the entire spine.